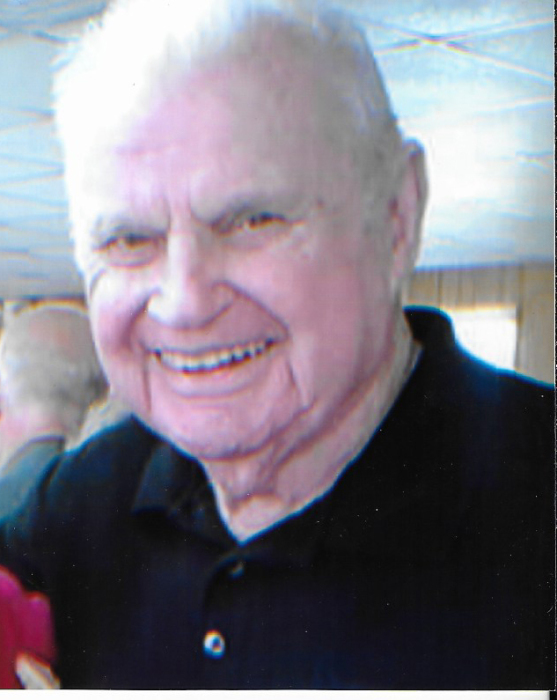 Joseph Griffin, 89, of Bainbridge, GA, formerly of Albany, GA, passed away Monday, February 4, 2019 at Miller County Hospital. Funeral services will be conducted Thursday, February 7, 2019 at 12:00 pm at Mathews Funeral Home. Mr. Ross Powell will officiate. Interment will follow at Crown Hill Cemetery. Born in Bainbridge, GA to the late James and Melissa Griffin, Joseph was the last of seven siblings. Mr. Griffin served in the United States Army during the Korean War. Mr. Griffin had an extended career in the wholesale beverage business and was awarded the Canadian Club Man of the Year. This was one of his proudest professional accomplishments. In addition to his parents and siblings Joseph was preceded in death by his wife of sixty two years Ouida Helen Griffin and a daughter Susan Morgan. Survivors include a daughter Judy Peppers of Woodstock, GA, a son Randy Griffin of Albany, GA, seven grandchildren Holli Griffin, Mallory Johnson, Presley Wood, Kyler Morgan, Ashley Peppers, Brinley Peppers, and Landon Peppers, and thirteen great grandchildren. The family will receive friends on Thursday from 10:30 am until the funeral hour.